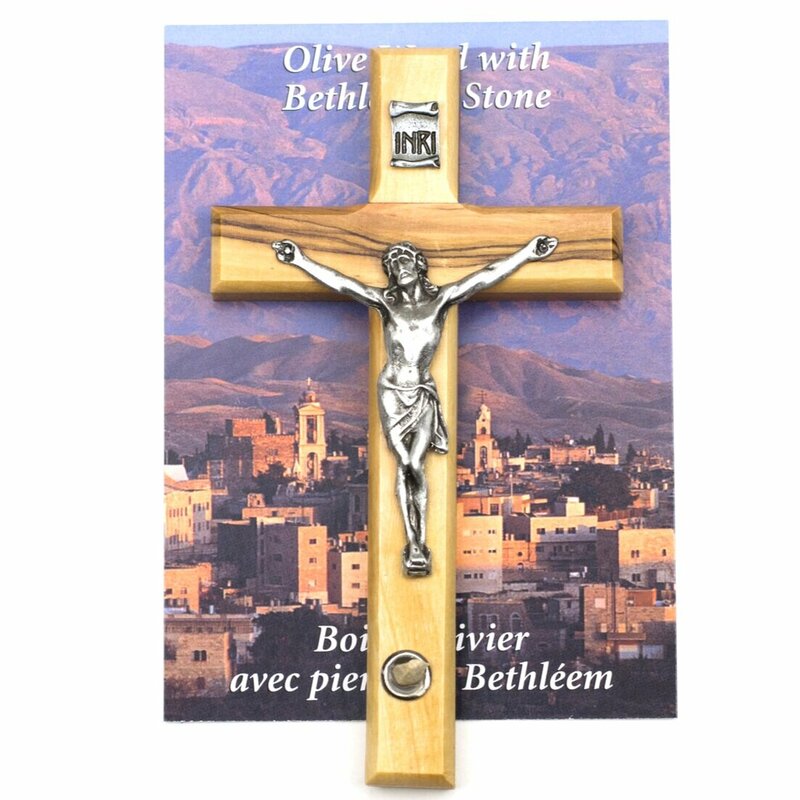 This beautiful OLIVEWOOD crucifix is from the Holy Land. At it's base it has a small brass finished case containing a piece of stone from the Nativity Church in Bethlehem. This crucifix measures 3.75".